the Eyercraft has a superior weight to payload ratio that enables superior UAV performances. Eyercraft is implemented with automatic Take-off and Landing for both runway and harsh terrain, using skids for platform survivability on unprepared area or wheels for runway landing. and 6000 mm wing span aircrafts. under EASA Regulations for UAV’s. 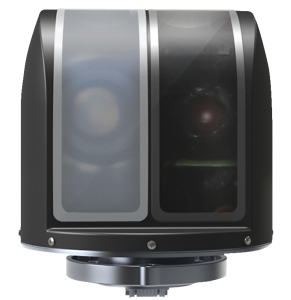 The Orion is EO/IR/Laser stabilized camera with a mere weight of 250 grams [8.8 oz]. Offering a full 360 degree range of rotation, the Orion stabilized camera provides the highest quality imagery.